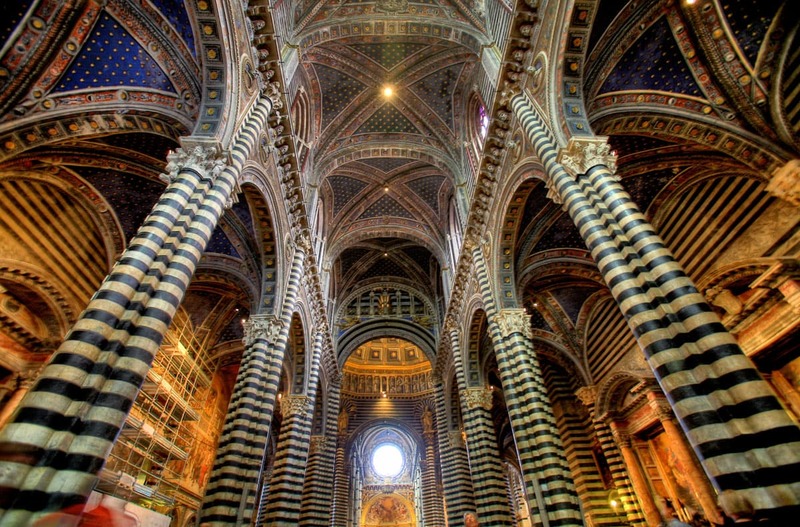 One of the highest achievements of Italian Gothic art and architecture is Orvieto Cathedral. Few buildings in the world are that ornate, and at the same time – few have such a well balanced and harmonious architecture. One of the most spectacular towns in Central Italy is Orvieto. This town is built on a volcanic plug which rises 150 – 200 m above the surroundings. Settlement on the top of this cliff has existed for millenia. Orvieto was one of the major centres of Etruscan civilizations, a Roman town and – thanks to its defensible position – important city of Medieval Italy. Many interesting buildings have been built in Orvieto throughout the centuries and preserved up to this day. Very exciting is the system of underground passages, with escape tunnels starting in many houses in the city and leading far out of the city. Orvieto has a special place in the history of papacy – five popes left Rome and resided in Orvieto, mostly in the time period from 1261 to 1304. 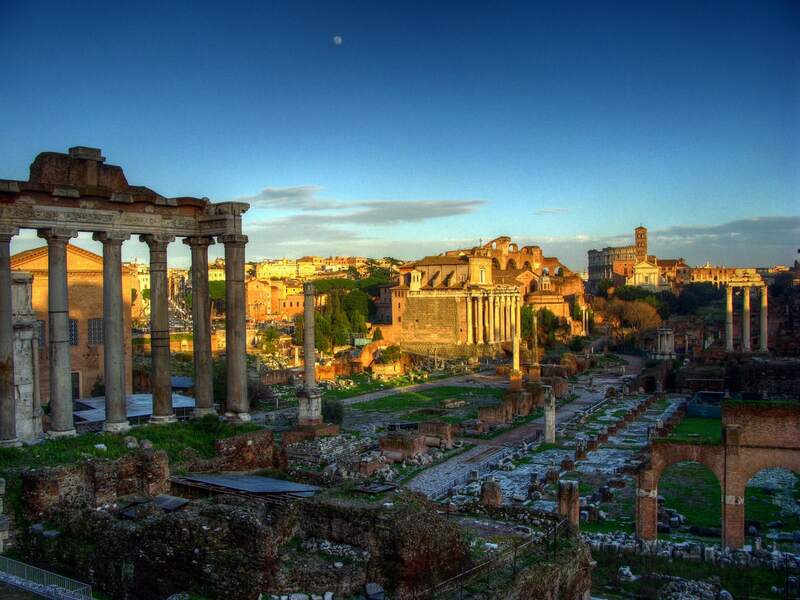 This well fortified city provided safety away from the wild clashes in Rome. 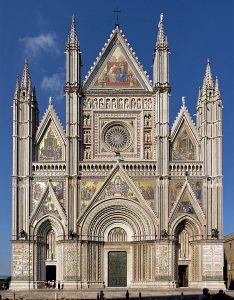 And – yes, papacy was an important factor helping to get a magnificent cathedral in Orvieto. Formal reason for the construction of the new, grand cathedral though was a wish to create a due home for an interesting relic – the Corporal of Bolsena. This small consecrated oblate once, reportedly in 1263, started to bleed on a cloth, which was held by a priest, who had doubts about transubstantiation. This stained cloth has been preserved in Cathedral up to this day. Spots on the cloth show a profile similar to that of Jesus Christ – one more aspect of this miracle. One of the greatest yearly festivities in Orvieto is a day, when this cloth is paraded around the town. Initially it was planned to build a large structure in Romanesque style. Flagstone was laid by Pope Nicholas IV, first chief-mason was Fra Bevignate di Perugia, using a Romanesque design, which envisaged a structure with nave and two side aisles. Some art historicians presume that Arnolfo di Cambio inspired the design of the cathedral. Soon after the start of the construction Giovanni di Uguccione became chief-mason. He modernized the design to a Gothic style in a form which today is classified as Italian Gothic. Lorenzo Maitani, an architect from Siena, became chief-engineer in 1309. He redesigned the building in order to improve its structural integrity and to a large extent created the cathedral in its present form. 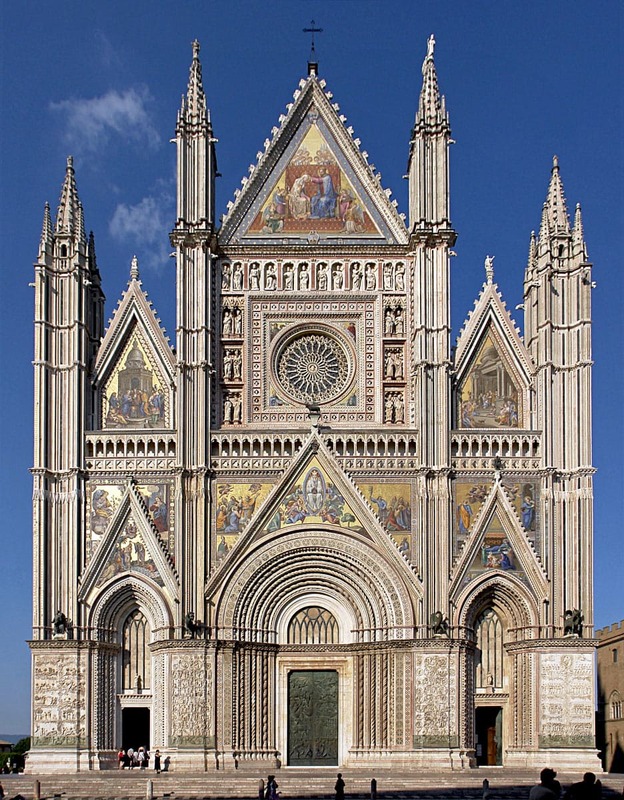 This variety of Gothic style is sometimes called – Siennese Gothic, as besides Orvieto similar gorgeous building is Siena Cathedral. It is considered that Maitano used also principles of the golden ration in the design. 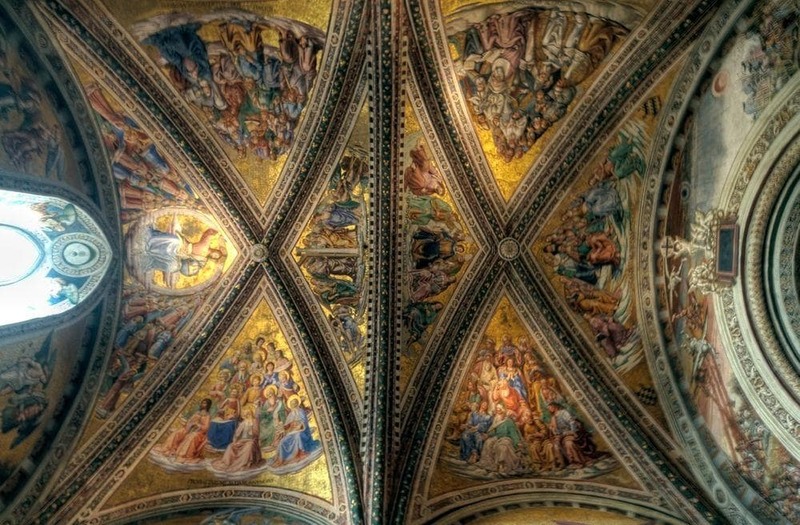 Orvieto was not a major centre in arts – thus most of the works were done by engineers from Siena and Florence – and simultaneously with the construction of world-class cathedrals in Siena and Florence. Maitani died in 1330, when most of the structural works were complete, his sons continued the work. Andrea Pisano was appointed as chief-mason in 1347, then in 1359 – Andrea di Cione (Orcagna). 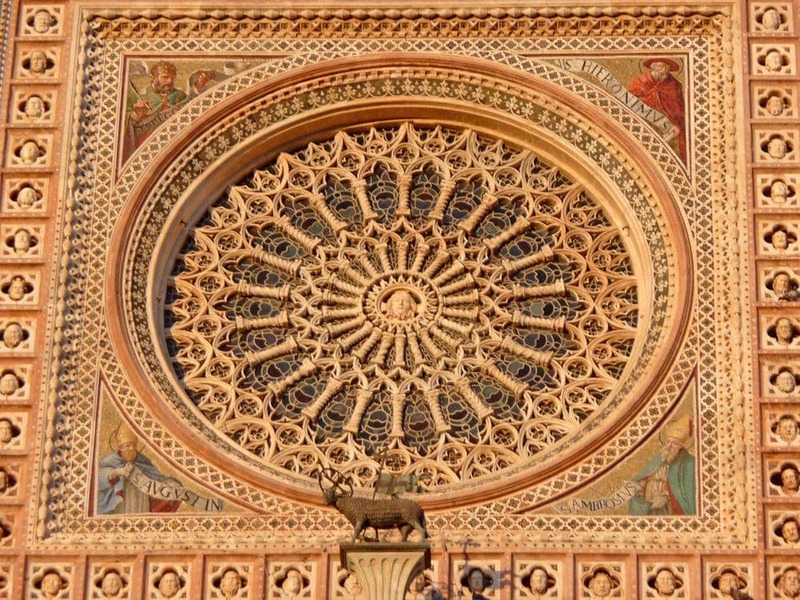 The spectacular golden mosaics of the facade and the rose window most likely is his work. Works of smaller scale continued after 1360 – facade got details in Renaissance style in 1451 – 1456 (Antonio Federighi), work at the facade continued up to the early 17th century. Cathedral is built in the highest spot of Orvieto cliff and view towards this beautiful building opens from many streets in the city. 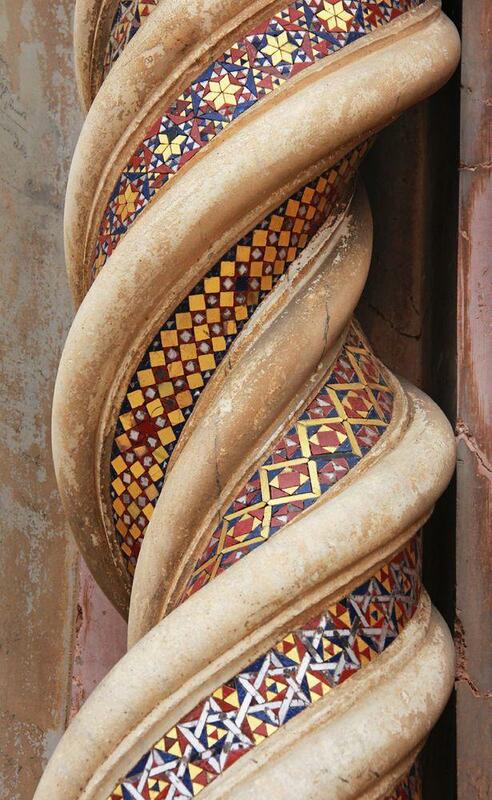 In spite of its rather complex build history Orvieto Cathedral has amazing compositional unity. The beauty and ornamentation of this building is hard to surpass. In its form this cathedral belongs to Romanesque style, but the ornamentation of facade and art values inside represent Gothic style. Most surprising is the monumental facade which is adorned with intricate golden mosaics. It is seen as one of the masterpieces of European architecture and art in the Late Middle Ages. Mosaics mostly have been replaced with newer ones in later reconstructions of the 17th – 19th centuries – but these reconstructions have been made in a very high quality. Lower part of the facade, understandably, is not adorned with gold – but nevertheless it is formed from bas reliefs of exceptionally high quality, depicting scenes from the Old and New Testament, history of man in the past and future. Golden mosaics further up on the facade show mainly scenes from the life of the Virgin Mary. The large rose window in the facade is another sumptuously ornamented detail – it was created by Orcagna between 1354 and 1380. In the centre of window is sculpted head of Jesus Christ. Latest details in the facade are three bronze doors, made in 1970 by Sicilian sculptor Emilio Greco – also with rich ornamentation. Side walls of the cathedral are much less ornate – they are faced with alternating layers of white travertine and dark basalt. After seeing the grand facade the visitor would not be disappointed to see the interior – it is not less ornamented, if not the opposite. The cathedral has been designed to be spacious, with massive columns, which, like the exterior walls, are adorned with white and dark lines. Much of the surfaces in the cathedral are covered with beautiful frescoes. 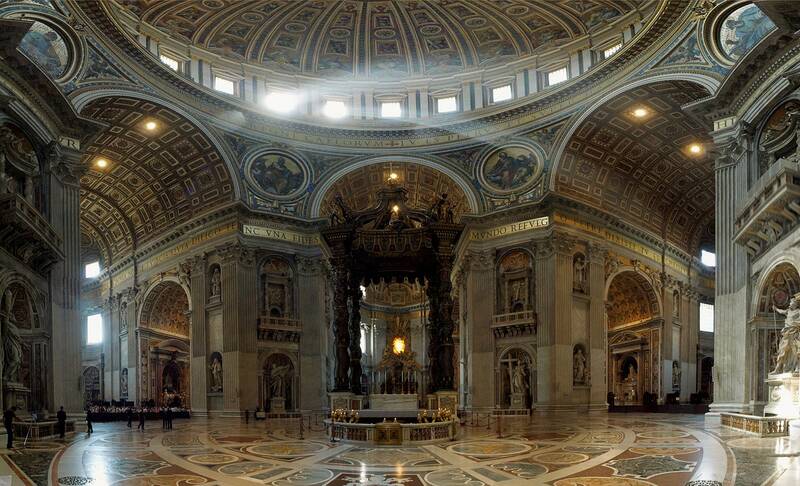 Whole cathedral and every detail of it represents a value of art – but some of these values are outstanding. One is Gothic frescoe by Gentile da Fabriano, "Madonna Enthroned with Child", 1425, another is Pietà – a sculptural group by Ippolito Scalza, 1579. Beautiful and old is the stained glass window in the apse, made by Giovanni di Bonino between 1328 and 1334. Two chapels in the cathedral – Cappella del Corporale and Cappella di San Brizio – contain art values of world importance. Chapel of the Corporal was built between 1350 and 1356 in order to house the main relic of the cathedral – corporal of Bolsena. Chapel is adorned with beautiful frescoes painted by three local artists – Ugolino di Prete Ilario, Domenico di Meo and Giovanni di Buccio Leonardelli. Some details express anti-semitism which was widespread in this period. 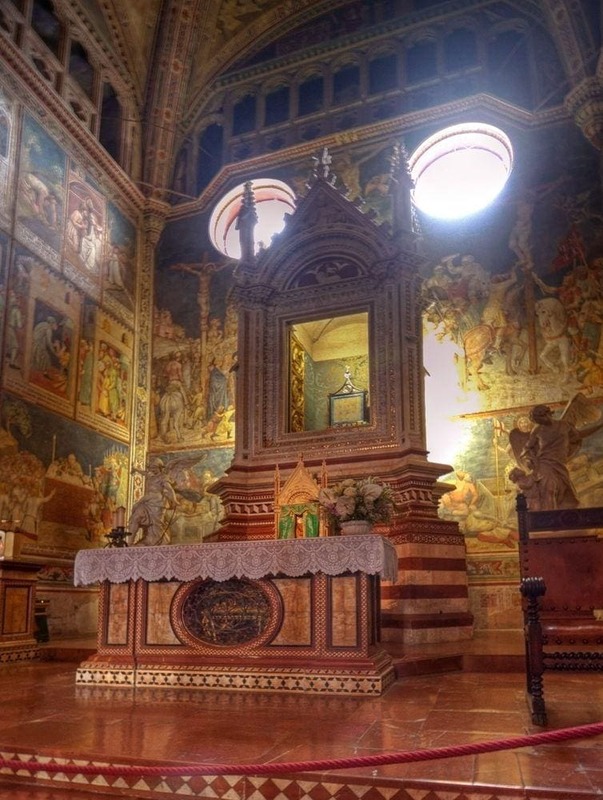 This chapel contains also the remains of mayor of Orvieto – St. Pietro Parenzo, killed by Cathars in 1199. Numerous miracles were reported at his grave – and now this is the main reasons for many pilgrimages to Orvieto. His remains were transferred to the cathedral after its construction. Chapel of the Madonna di San Brizio was built in 1408 – 1444 and is devoted to Saint Britius (San Brizio). Vaults and walls of this beautiful chapel were painted by Fra Angelico and Benozzo Gozzoli (1447), but especially interesting are the later frescoes by Luca Signorelli (1499 – 1503). These frescoes are some of the most beautiful and interesting ones in Italy. Signorelli painted Apocalypse and the Last Judgement – which, obviously, are very exciting themes, where artist can express himself. 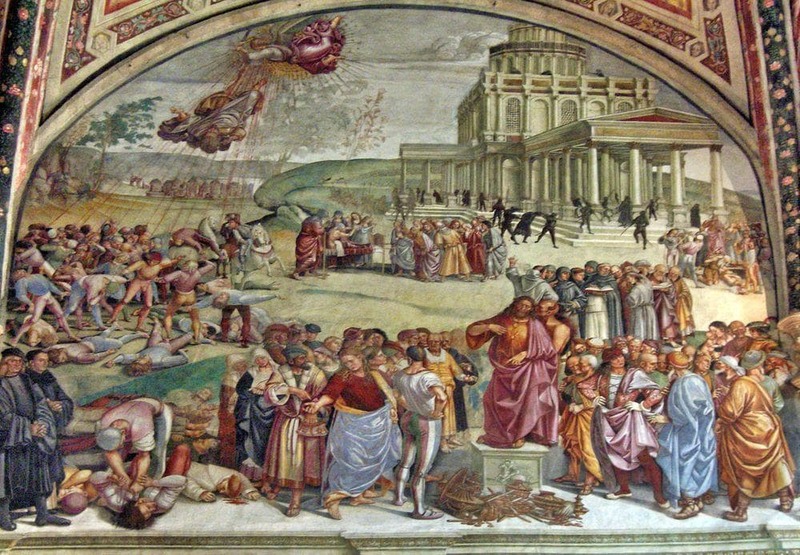 Thus, "The Preaching of the Antichrist" shows Antichrist, but in the crowd stand famous people – Dante, Raphael, Christopher Columbus, Boccaccio and Signorelli himself. "Damned are taken to Hell and received by Demons" shows horrible demons attacking a group of people. Many frescoes show interesting experiments of Signorelli in three-dimensional imaging. The archive of the cathedral has been preserved and contains very detailed description of construction works. Here we can learn, how people in Italy organized large scale projects, involving many arts and tastes and lasting for several centuries. Turns out, the project management was on a very high level by today’s standards. There was very strict division of works between different artisans, they had complex systems of evaluation, promotion and assessment of their fees. 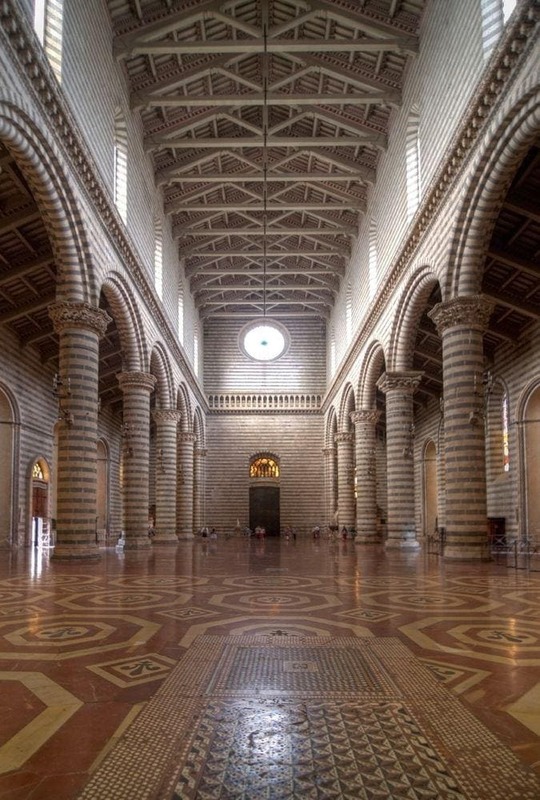 People spent whole life by working at the construction of Orvieto Cathedral and slowly, step by step rising up in their career. This was a teamwork, but the names of most masters have been forgotten now. 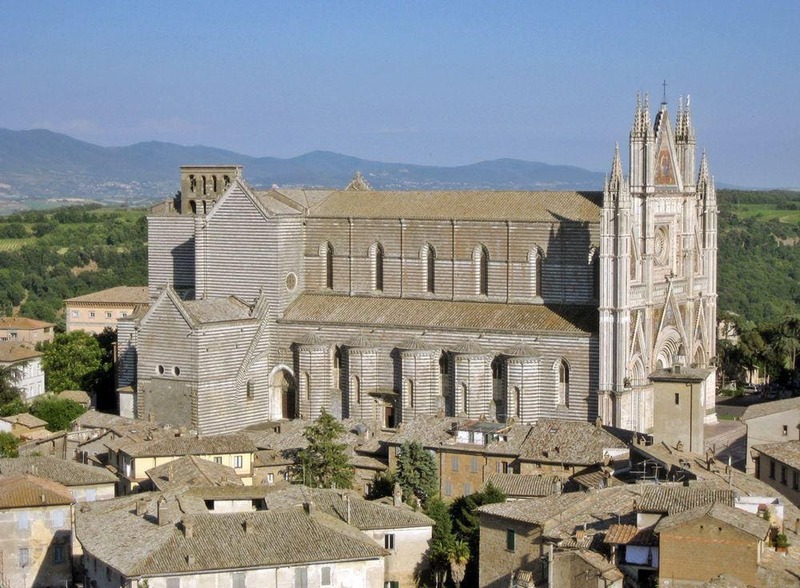 A guide to one of Italy’s most beautiful cities – Orvieto. With colour illustrations throughout, it covers: how to get there; where to eat; accommodation, including farm holiday centres, camp sites and youth hostels; useful telephone numbers; churches; museums; the underground; and more. Make your trip to Umbria an unforgettable cultural experience with our Eyewitness Travel Guide. Explore unspoiled national parks; visit markets, shops, and festivals, or take scenic walking tours in this beautiful region.